At KIPP, you never stop learning. We believe the most effective, applicable professional development is often provided in-house. We start off the year with up to three weeks of professional development before students are on campus to ensure that we are united and prepared to welcome students into the building. Each Wednesday, our students dismiss early, and staff come together to reflect and learn as a group as well as meet in content and grade-level teams. We provide cohort-based learning for teams within our schools to ensure training is targeted and meaningful for our work. Great schools are relentlessly focused on developing teacher instruction. During the year, you can anticipate having at least bi-weekly check-ins with your coach; these frequent, specific coaching cycles allow teachers to reflect and improve quickly. In addition to school-level support, our region’s robust academic support team provides curricular guidance, data support, and develops benchmark assessments to ensure that our curriculum is aligned, rigorous and normed across our region. As our schools continue to grow, there are opportunities to take on additional responsibilities such as grade level chair or teacher coach. We work with high-performing teachers to connect them with internal and network-wide leadership development. Regional team members also take advantage of KIPP’s regional leader development program, connecting with leaders across the KIPP network to grow and expand our region through collaboration and targeted leadership training. At KIPP Jacksonville, your team extends to the 209 KIPP schools that fall under the KIPP Foundation, our national organization that provides support and guidance in our work. 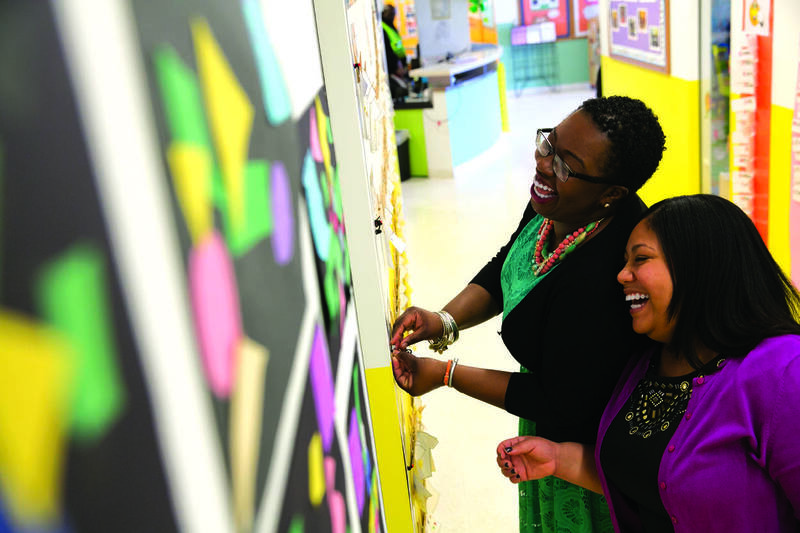 As part of the KIPP network, staff receive access to KIPP Share, a resource-sharing and communication platform to leverage tools from other regions and to establish connections.